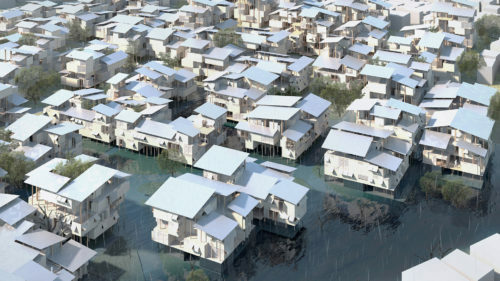 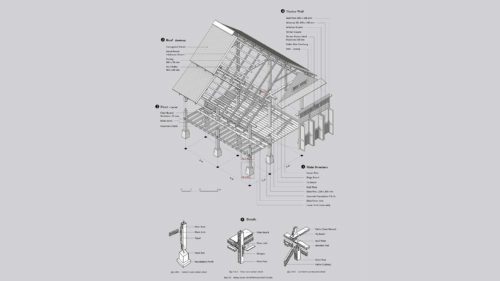 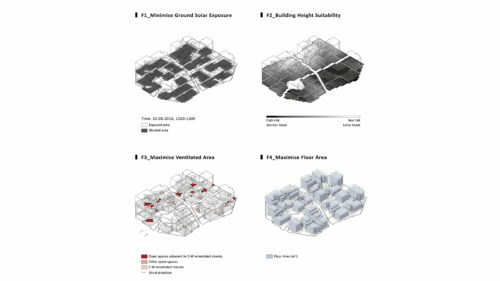 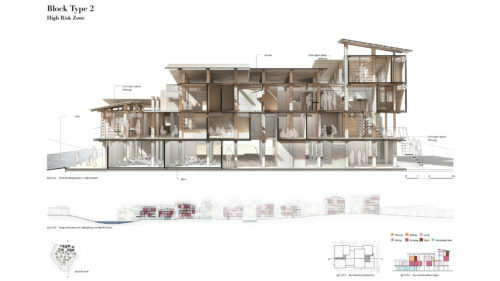 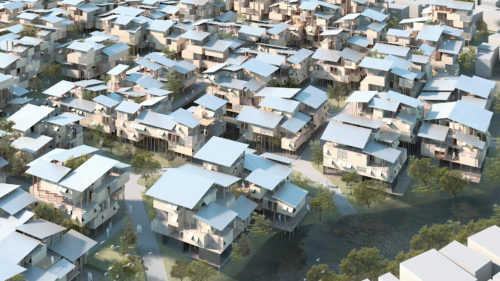 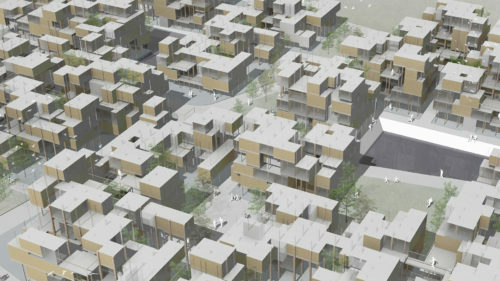 The dissertation aims to develop an alternative urban and architectural system for the flood-prone kampungs of Jakarta. 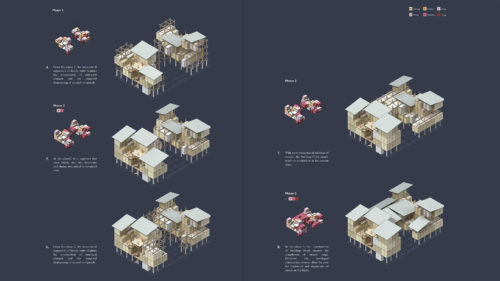 Responding the emergence of vertical slums which highlights the inadequacy of current re-housing provisions, the dissertation seeks to incorporate socio-cultural practices and growth patterns of kampungs within its design development. 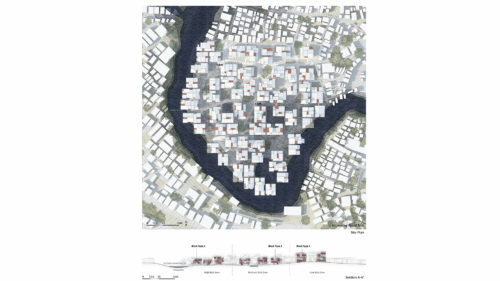 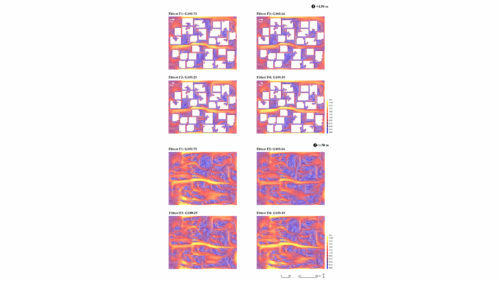 Tackling the dialectical nature of designing an informal, ‘self-built’ city system, the proposal strives to balance population expansion and demographic changes with uncompromised environmental performance and reduced flood risk. 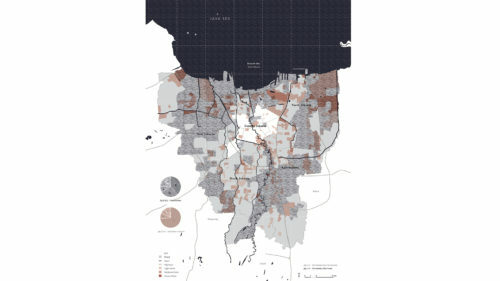 On the urban scale, environmental factors are collated into a risk assessment map with stipulated zones and corresponding strategies. 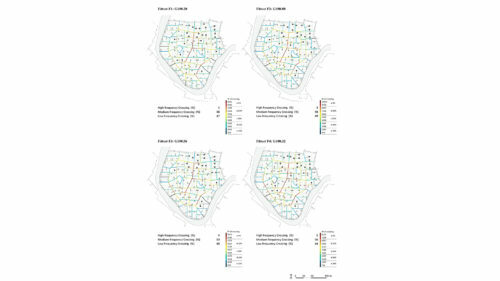 The placement of street networks and drainage infrastructure forms the framework which guides urban growth. 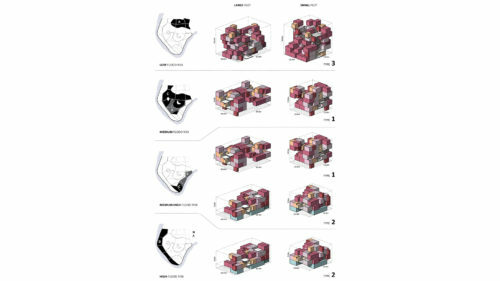 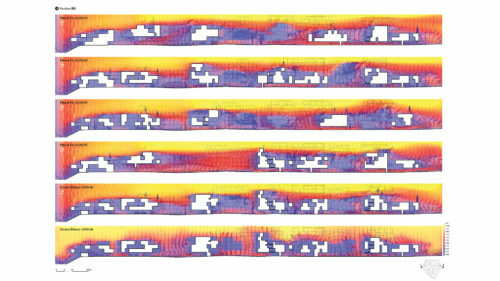 On the architectural scale, mass customised blocks are created using aggregation algorithms which transcribe context-specific programmatic relationships and self-built practices into differentiated voxels. 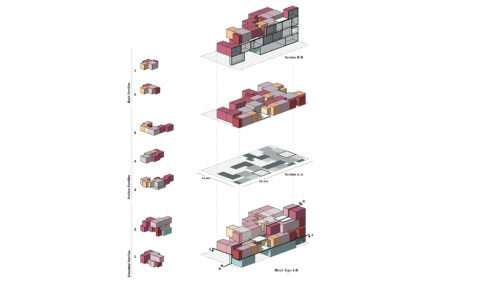 The abstracted volumes are later converted into detail construction sequences, using an open-building system with modular kit-of-parts. 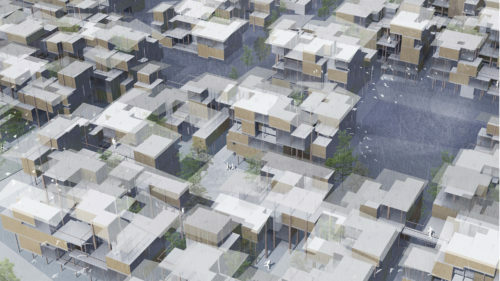 Whilst the MSc phase focused on a concurrent, multi-scalar approach that responds to current conditions, the MArch phase acknowledges the predisposition of informal settlements for unabated growth and seeks to establish the performance limits of the integrated system. 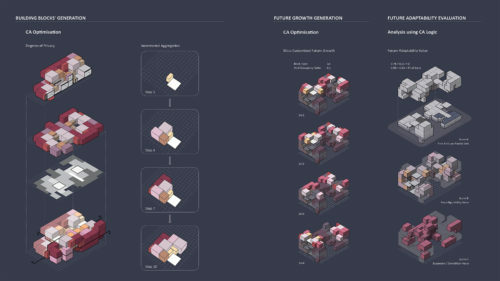 Through the development and incorporation of ‘future adaptability’ criterion within the synthesis process, the design proposal aims to be more robust against demographic and climatic changes, whilst at the same time, retain the diversity of kampungs.